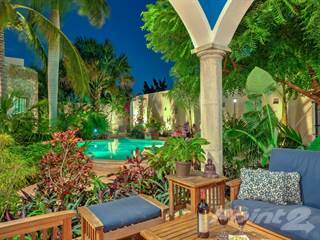 Searching homes for sale in Merida, Yucatan, Mexico has never been more convenient. 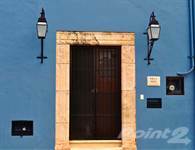 With Point2 Homes, you can easily browse through Merida, Yucatan, Mexico single family homes for sale, townhomes, condos and commercial properties, and quickly get a general perspective on the real estate market. Point2 Homes gives you far more than a simple list of houses for sale. 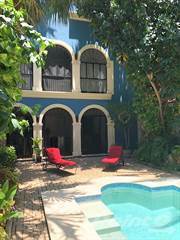 Get instant access to loads of relevant information about Merida, Yucatan, Mexico real estate, including property descriptions, virtual tours, maps and photos. If you like a house for sale and you want to speak with a professional, simply contact the listing agent right from page of listing details. Or if you want to talk to an agent before anything else gets done, you can click the Tools tab and Find an Agent – you get a list of real estate agents in Merida, Yucatan, Mexico, all ready to give you top-notch professional advice on house prices and more detailed information about your target area. Use the map view to find homes and apartments for sale based on amenities and features in Merida, Yucatan, Mexico that you may want close by. You can select your preferred area or neighbourhood by using the radius or polygon tools in the map menu. Filter among the 1,019 listings in Merida, Yucatan, Mexico, based on real estate price drops in the past six months, so you’ll never miss a bargain. Get new listings in your inbox, daily or every week, based on your preferences, by simply saving your searches. All it takes is two clicks. Located in the northern part of the Yucatan Peninsula, Merida, Mexico is the capital of the state of Yucatan. At 331 square miles, Merida is the largest city in Yucatan and boasts a population of approximately 970,000. Merida is considered the cultural capital of the Yucatan. Tourism is a major economic force but plants and factories are being constructed and finance continues to play a major role in its burgeoning development. Major colleges in Merida includethe Autonomous University of Yucatan, the Instituto Tecnológico de Mérida (Merida Institute of Technology) and the Escuela Superior de Artes de Yucatán (The School of Arts of the Yucatan). Culture and history are quite different in Merida than in the rest of Mexico. Because of its distance from other major Mexican cities and the lack of development in the Yucatan Peninsula until recently, everything from the food to traditions maintain stronger Mayan influences and have not been as assimilated to European cultures as other parts of the country have. There are many colonial buildings, though, and the Mayan culture still plays a pivotal role in daily life. Merida is quite modern with state-of-the-art museums, galleries, restaurants and stores. Paseo de Montejo is a street lined with different original sculptures for ten months before being switched out. Merida has a strong Hispanic and Mayan influence. Historic sites are all over Merida including the Templo de San Juan de Dios dating back to 1562. Merida receives its name from the Spanish town of the same name. Regardless of the influences of Europeans, the Mayan culture has continued to thrive. You’ll find the Casa de Montejo dating back to the 16th century, Gran Museodel Mundo Maya as well as Mejorada Park home to quite possibly the best Spanish restaurant in Merida. Merida is situated within the Chicxulub Crater which means the topography is very flat and there is almost no water to be found on the surface. The city experiences both a tropical wet climate and a dry climate. During the coldest times of the year, between November and February, temperatures average in the upper-80’s. In the middle of summer, daytime temperatures usually are between 95-97 degrees. The rainy season in Merida runs from June through October during which 75% of the annual rainfall occurs. Real estate and rentals are still quite affordable although prices have increased over the last couple of decades. Compared to nearby resort cities like Cancun and Playa Del Carmen, Merida still remains affordable. Although new construction is happening, the most affordable homes are the older colonials. Merida is a beautiful tourist-type town filled with great museums and rich colonial and Mayan history. Residents enjoy some tasty cuisines and the folks are very welcoming. Although temperatures soar near triple digits many months of the year, residents always have a lot of reasons to love Merida from art galleries and festivals to theater and more. As the cultural capital of the Yucatan Peninsula and a city known for its strong Mayan culture, Merida offers a lot of options for history, arts, museums and the theater. Some of the most popular museums include: the Gran Museo del Mundo Maya which contains 1,100 artifacts celebrating Maya culture, the Museo Regional de Antropología at the Palacio Canton Houses and the Museo de Arte Popular de Yucatán. Merida hosts an annual celebration called HanalPixan which is a Mayan version of the Dia de losMuertos. A celebration of those who have passed away, HanalPixan is Mayan for Food for the Souls.Houses are cleaned and lots of food is prepared during this time for the anticipated arrival of the dearly departed. Merida has consistently been known to have the best public schools in Mexico. This distinction dates back to the mid-1990’s. Home to more than a dozen higher education schools and universities, some of the more notable colleges include Universidad Autónoma de Yucatán, Universidad TecnológicaMetropolitana and Universidad Nacional Autónoma de México, also known as UNAM. Plaza Grande is considered the center of the center of the city. It does not get more centrally located than here where residents and tourists find Catedral San Idelfonso, the Governor's Palace and City Hall, Casa Montejo, the MACAY museum and the Olimpo. Considered one of the oldest colonias of Merida, Santiago has a lot of history dating back nearly 400 years. Many Americans and Canadians reside here and have renovated the colonial-style homes. There are plenty of stores and activities to be found in Santiago making it a very desirable neighborhood located near downtown. With a thriving art district situated near Parque Santa Ana, this neighborhood attracts a lot of visitors including tourists and expats. Tourist shops, restaurants and the Old Archaeological Museum are just a few reasons folks visit this area. A church still in existence dates back to the 1500’s. One of the first housing developments in Merida, this colonia is famous for having the only sewer system in all of the colonias. Plots of land were considered small and recently those interested in building homes bought up 2-3 plots at a time. Aleman is considered an upper-middle class neighborhood. There are several real estate development projects occurring in Merida. Via Montejo includes seven towers of apartments that will start from $140,000. Other construction projects include the La Isla Merida Mall. Housing options are very affordable compared to other resort communities in the Yucatan Peninsula. Rent in Cancun is 25% higher than in Merida and, compared to US cities like Dallas, rent is over 80% lower. Rental properties generally go to those seeking temporary housing. Marketing efforts are geared more toward those tourists and foreigners eager to spend months away from the long winters and not permanent residents. New construction is big in Merida but there are still many folks eager to live in the old colonial homes and refurbish them to appear as they once had. Plants are being built to accommodate economic growth. While many facilities are Mexican-owned companies, there are also international corporations eyeing Merida for business including the Korea Gas Corporation. Economic growth will help spur construction, which increases demand. 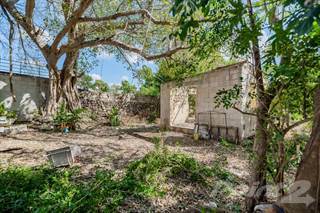 Everyone from expatriates to retirees to wealthy Mexicans looking to move away from Mexico City are purchasing a wide range of property types from land parcels and colonial ruins for restoration to mansions and suburban homes. Merida is home to the Universidad Autónoma de Yucatán(the Autonomous University of Yucatan). This public university has a student population exceeding 17,000 and is an autonomous public university with roots dating back to the 1600’s by a Spanish decree. The modern version was created in 1922. Other notable schools include the Merida Institute of Technology and the Anahuac Mayab University which is a private school educating 3,100 students with degrees in business, communications, health services and more. The literacy rate for students in Yucatan is approximately 96%. The public school system in Merida and all of Mexico is overseen by the Secretariat of Public Instruction (SEP). There are many options for English-speaking students who are transitioning but these options are private schools.